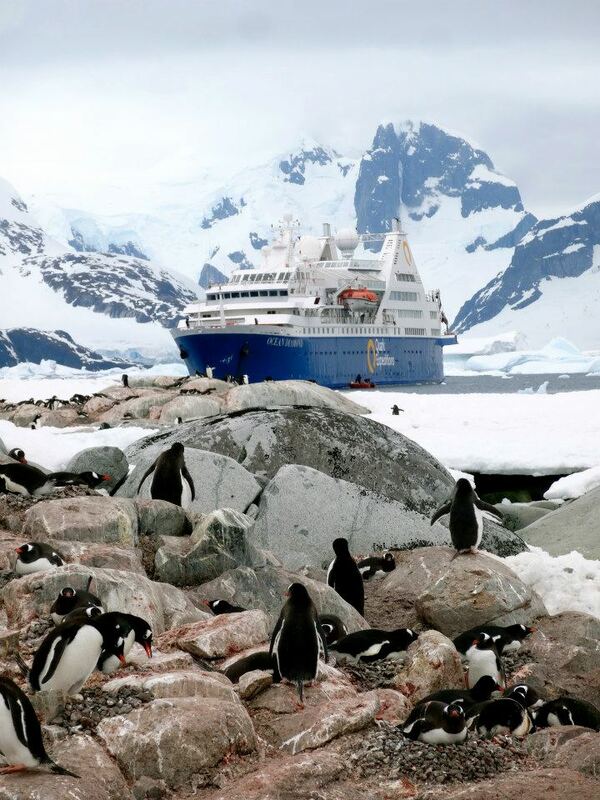 Antarctica: How To Get A Last Minute Deal! When people ask me where my favourite place has been on my travels around the world my answer is easy. Antarctica! No hesitations, no thought needed. It wins every time. That beautiful, cold, little-traveled continent at the bottom of the earth with endless amounts of Icebergs and Penguins is considered by most as a place that’s impossible to reach, or at least a place that only those with large bank accounts can afford to visit. Well, I can assure you that as a 22 year old backpacker I was not one of those people. You too can visit this magical place, and for a fraction of the price! I am not much of a planner and I’m prone to making last-minute plans, booking a flight and departing the next day on a month-long (or more) adventure. As I had not planned on spending six months in South America I had definitely not planned on visiting Antarctica any time soon. The more I traveled through the incredible continent that is South America, however, the more I heard whispers of the possibility of visiting Antarctica with last-minute deals. Whilst you can get last-minute deals at a fraction of the original price it’s still quite a huge sum of money which quite frankly I didn’t have. I had enough money to get me through my six months in South America with perhaps a chunk of spare change at the end. But the closer I got to Argentina the more I thought about visiting Ushuaia (which is nicknamed the end of the earth as it’s the southernmost town in the world) and trying my luck at getting a last-minute deal. I contemplated this decision for weeks, knowing I didn’t really have the money spare but wanting to go desperately. I had money saved up in a separate account for a house in the future and so decided at that moment that I would borrow from that account (with all intention of paying it back as soon as possible) and go on the adventure of a lifetime. I was going to prove him wrong. I booked flights from Buenos Aires to Ushuaia, which cost about $300AUD (transport in Argentina costs a fortune and the bus would have taken me three days and not saved me much money). Once I arrived in Ushuaia I caught a taxi to my hostel ‘Antarctica Hostel.‘ Within a minute of arriving the guy at the front desk asked “Are you interested in going to Antarctica?” When I told him I was hoping so he pulled out a sheet with dates and prices for ships leaving in the next month and told me to contact a lady called Sarah to hear my options. I was excited. This was easier than I thought. I might actually get to do this! I shopped around, visiting all of the offices on the main road in town but no one offered cheaper options than Sarah. She had two options for me. One last-minute deal was a huge bargain at only $3115 AUD (At the time the US dollar was weak so it saved me quite a bit off the US Dollar quote). That particular ship, however, wasn’t leaving for another seven days so I’d have to wait around in Ushuaia (which was the most expensive town in Argentina, in my opinion) and also meant that the boat would arrive back in Argentina on Christmas Eve, which would eliminate my plans of spending Christmas with my friends on the beach in Brazil. The second option was a bit pricier at $3900 AUD but departed the next day and would arrive back on the 18th of December so that I had enough time to visit Iguazu Falls and still make it to Florionopolis, Brazil for Christmas with my friends. Sarah also assured me that this boat was the most luxurious boat that goes to Antarctica and said it was the best bargain of them all. Of course both of these options still cost a LOT and the thought of that much money disappearing from my account overnight killed me but I knew that this was the chance of a lifetime and that despite it being super expensive everyone else on the cruise had booked a year or more in advance and were paying up to triple that price. Despite my poor backpacker status it was a bargain and my travel thirsty heart couldn’t resist the opportunity. Note that whilst you can save a lot of money by getting a last-minute deal in Ushuaia it does come with risk. The plan works best for people who have no time limits as whilst I was lucky and found a boat that fit my schedule perfectly I’ve heard of some people having to wait around for weeks. It’s all about luck and that’s the risk you take in not booking in advance. As I was not planning a trip to Antarctica I had no appropriate clothing in my backpack whatsoever, so Sarah sent me off to a rentals shop in town to rent out waterproof pants and gloves (my boat lent me boots and everyone on board was given a brand-new coat to keep). I booked and paid for the trip at 4pm, attended a pre-departure information meeting at a hotel in town at 6pm, was given my boarding pass at 2pm the next day and was on the boat by 3pm. Talk about a spontaneous trip!! I met my cabin roommate Bettina, who was from Germany, at the information meeting and we were both slightly concerned about what kind of trip it was going to be as everyone at the meeting were 60+ years of age. We needn’t of worried though, there were a handful of other young travelers missing from the meeting that night. In saying that, however, I made the most incredible friendships on that trip with people of varied ages, who I know I’ll be friends with for life. 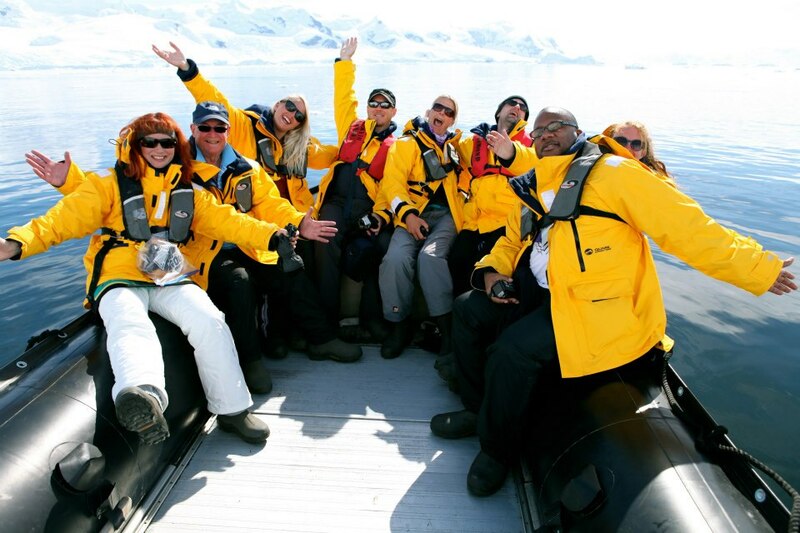 We shared an experience together like no other and I’ll forever look at my Antarctica friends ‘The Syndicate’ with fond memories. Sarah was not lying, the boat was as luxurious as she said. The boats that are often used for expeditions to Antarctica are normally extremely basic. My boat, however, had a gym, yoga classes, two bars, a library and a pool (albeit an empty one, unfortunately). The staff were exceptionally professional, our rooms extremely comfortable and spacious (for a boat) and the food was the most delicious food I’ve ever eaten. For a backpacker who was sleeping in hostels with bed bugs and eating boring meals of pasta previously, this boat was heaven! My time in Antarctica was magical. I could not have had a better trip. I spent two weeks of my life being surrounded by Icebergs, Penguins, Whales and Seals. We had lectures on the boat educating us on the continent, on the animals, on climate change, on photography. I made friends from all around the world. I swam in the Antarctic Ocean, had two weeks of 24/7 daylight, camped with just a sleeping bag on the ice watching a mother and baby Antarctic Minke Whale playing just metres from me. I took millions of photos. I laughed, I cried, I was in awe of every single second of my trip. My trip to Antarctica may have been the most spontaneous, last-minute and expensive thing I’ve ever done but it has also been the best. It was worth every single cent and I’d pay it again in a heartbeat. There is nowhere more beautiful, peaceful and natural. Nothing that will ever make you feel so insignificant and small in this incredible, huge world than that of Antarctica. Nothing that has ever taken my breath away so much. I wish that everyone could experience the happiness I experienced in those two weeks. My trip to Antarctica was nothing short of a real-life fairytale. 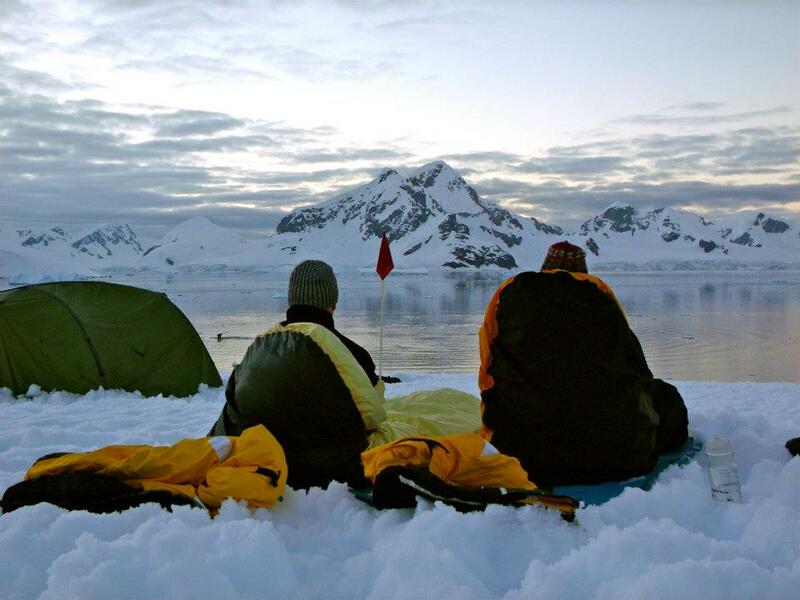 Going to Antarctica was the best thing I’ve ever done. I cannot imagine anything that will ever be able to top it. If you are thinking of going yourself then I have two words for you – DO IT!!! I don’t want to bombard you with too much information in one post (this one is already exceptionally long and detailed) so I will be posting my journal, pictures and other stories from my trip to Antarctica over the next few weeks so be sure to ‘like’ my Facebook page and Subscribe to my blog on the right, so you can be notified when new blogs are posted. Distance Traveled: 2,978.6 kilometres or 1,593.2 Nautical Miles. Species of Whales Spotted: 3 (Fin, Antarctic Minke & Humpback Whales). 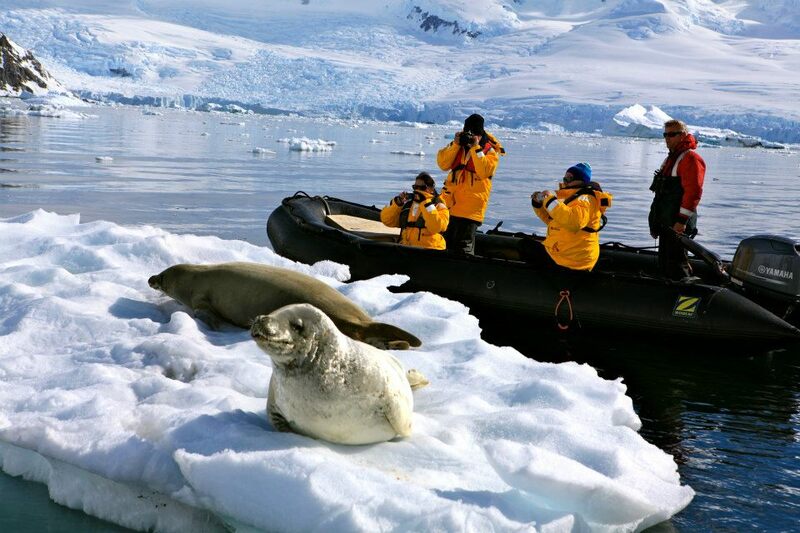 Species of Seals Spotted: 4 (Leopard, Southern Elephant, Weddell, Crabeater Seals). Species of Penguins Spotted: 6 (Gentoo, Chinstrap, Adelie, Rockhopper, Megallenic & Macaroni Penguins). Cost: $3900 Australian Dollars (with a massive discount). I hope that this post has helped to inform and inspire you to visit this incredible continent too! If you found it helpful please share it with your friends and family on Facebook! Note that the Antartica season runs from late October until late March, the summer months of the southern hemisphere. During the winter Antarctica has 24/7 darkness, just as it has 24/7 daylight during the summer. The Penguin Diaries Of Antarctica! did you go with quark expeditions? do you mind sharing route? like the islands covered? Wow! Excellent information. I had no idea I could save this much. 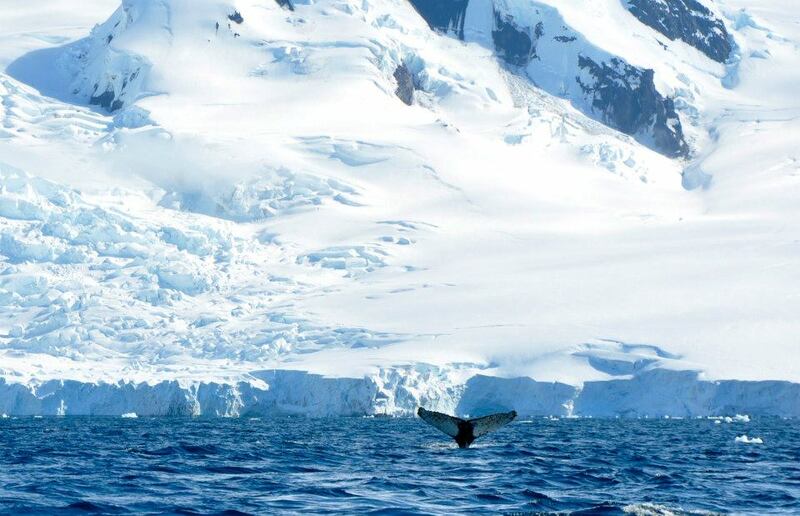 Do you know if it is possible to book a last-minute dive trip to Antarctica? I won’t go unless I could dive that would be too sad ahaha. I’ve never heard of people diving there besides on Frozen Planet documentaries etc so I am not sure, but if you do find out I would love to know! Good post! I’m a last minute deal type person too. I am planning in following your footsteps of just flying down to Ushuaia and scoring a last minute deal. Just wondering did you pay in cash or can you use a credit card? Oh awesome, I am so excited for you. I used a credit card, but the credit card fees were quite high with such an expense transaction. I would assume you could also pay cash, which may end up being cheaper. Do let me know how you get on, I love hearing about my readers experiences! Have fun! Good blog and thanks for the info. Nice blog! I want to go there as well, but i am afraad that it will be next season though, as i can probably be in Ushaia on april 18. I would like to contact compagnies though to ask if they are still going maybe. So if you have her email, please send it to me :). Aw, thank you! It really is a dream destination, so magical. Can I ask what company the boat was from? This is my ultimate dream trip and plan on taking it in a few years to celebrate my 40th and my daughter’s graduation! Hey Kay, I went with Quark and they were incredible but I’m sure all of the tour companys are just as amazing. I hope you get to go! It really was amazing, I hope you do get to visit one day too! Aw, thank you so much. I am so glad you found this inspirational. I really hope you get to visit Antarctica one day, it is truly magical! oh my god this is such GOALS! 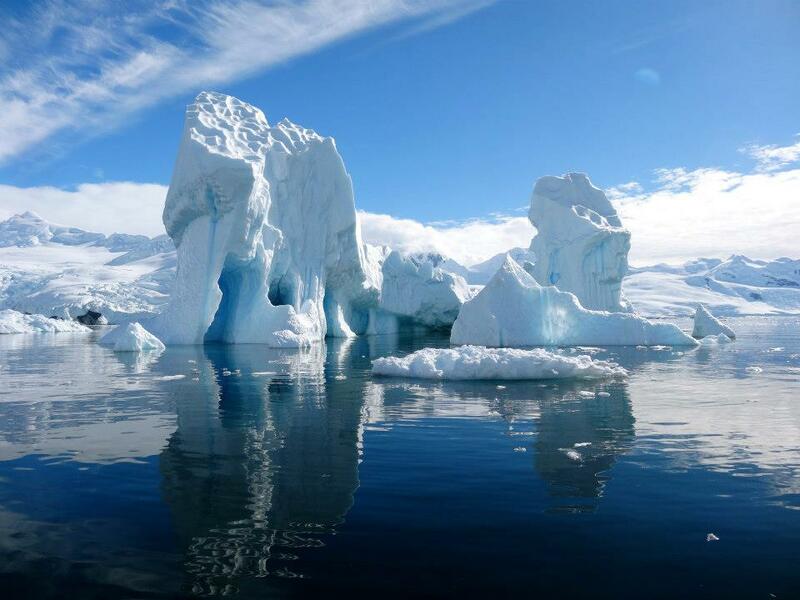 Antarctica looks fabulous and your pictures are making me all excited, so bookmarking this! I cannot stand the cold but for penguins, I’m sold! It looks like a beautiful place and your photos are amazing! Great read! I hate the cold too but Antarctica is so worth it. So glad it has inspired you, thanks for reading! That’s amazing! So many things you were able to do and experience, good decision to go there last minute. Now if only I have that amount of money saved somewhere then I can be as spontaneous as you are. Lol. Ha, yes I never did get around to saving up ‘house money’ again after that, but so worth it! Oh my goodness! This post is amazing. I don’t know when/if I’ll ever have enough off time to hang around in Ushuaia hoping for a spot to Antarctica, but you can bet I’m saving this post just in case! This is such great info – I’ve always wanted to go. And your photos are beautiful! I would cry, too, with all of that amazing wildlife around me. What a spectacular place. Thanks so much, I hope you get to go one day too. This is amazing and your photos are stunning. 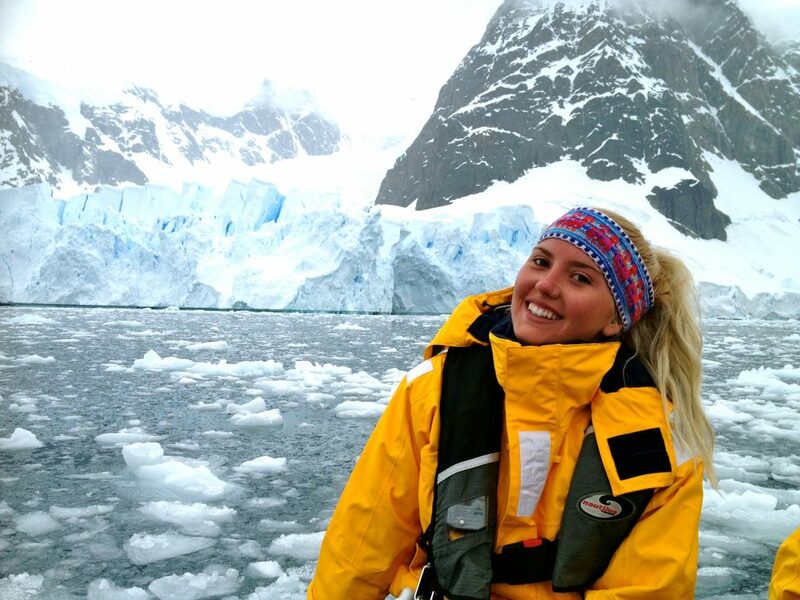 I had no idea you could just book on a boat to visit Antartica. I think i’d be in tears as soon as I saw the penguins. One question, was the crossing rough when you did the trip? How long did the first journey take? Hey, we were quite lucky. We were told the crossing was the smoothest they had had in years but I hear it can be very rough. The crossing is two days each way! What an amazing voyage! I cannot believe that you scored a last minute deal for Antarctica! Yes, if you get the chance, you MAKE it happen. I would have done the same thing, and hope to see it for myself one day. Great photos! Thanks so much. I hope you get to see it one day too! Oh wow!! The pictures are so stunning! It costs so much to get to Chile from India, that the trip seems even more expensive. Will read your post on how to save for the trip…inspirational. I am off to South America this year…maybe Antarctica next year! If you do it whilst you are in South America it will be even cheaper! What a treat to read this post and see these amazing pictures today! I have never thought about going top Antarctica as the first thing that would scare me off would be the cold, but from reading this post and the beauty of your pictures, I am definitely thinking of just having a once in a lifetime experience there and adding it to my bucket list. Will show this to my hubby! Bookmarking and pinning this! So glad you enjoyed this post and that it inspired you to visit yourself! With my wife, we planned to travel to Patagonia next march and we want to try to get a good deal to see Antartica. 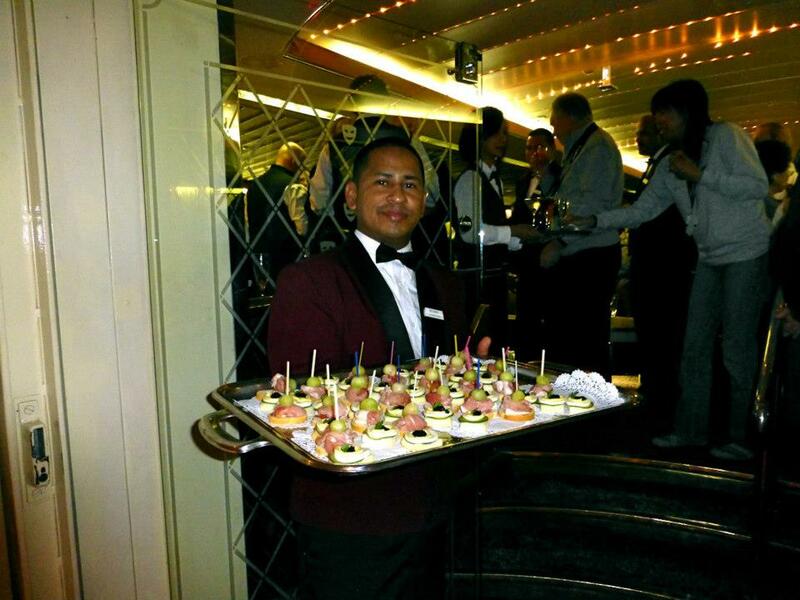 What was your cruise company and the name of the boat ? Such price is exactly what we’re looking for ! I am glad you found this post helpful. I went with Quark Expeditions, I’m not sure of the name of the boat unfortunately. The deal wouldn’t be advertised on their website though, it is something that does need to be found once in Ushuaia and you have walked around to the travel agents who have the deals. A reader actually scored a deal just like mine only last week. I would love to know how you go, please keep me posted. Did you have to pay in all cash or they accept credit card when you did this last minute? Yes you can get good deals in Ushaia, but if you subscribe to the various emailing lists you get deals for a similar price on the internet. I’ve seen plenty of 50% off or greater deals the past year. It used to be the case that the cheapest deals were to be found rocking up and getting a last minute deal, but due to insurance and other factors, filling a boat by getting cheap last minute travellers no longer makes them any money, so boats will leave happily with spare space on board. Then again its cheaper to go to Antarctica than it is to visit some parts of Australia! thanks for your blog, I’m sure it will inspire plenty of people. Good tips, I’ll have to check out the prices on these emailing lists. This is the best post I read today! Now, Antarctica is officially on my wander-list. I followed you from Facebook asking about Antarctica remembered? 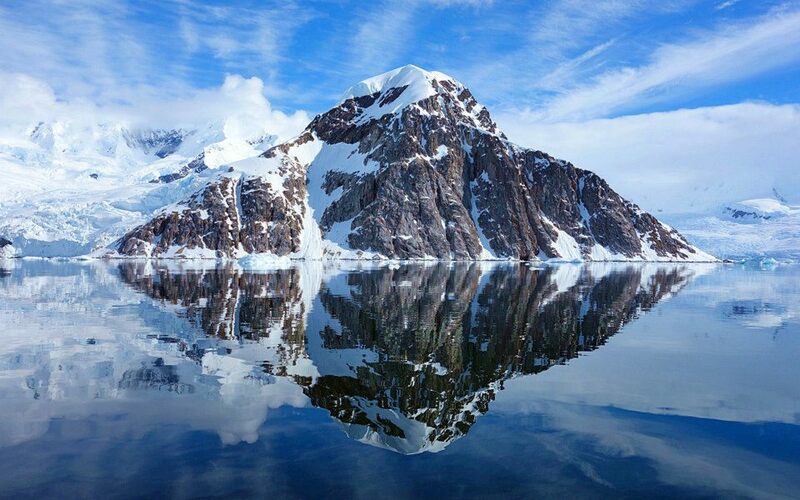 I will definitely visit Antarctica as soon as possible as it’s the only continent I havn’t explored! Hey Kay. So glad that you found my post helpful. The feeling of reaching all seven continents is indescribable. I hope that I can help you reach it on a budget. Wow i wanna sign up now! Glad you found it helpful 🙂 I would love to know if you go!